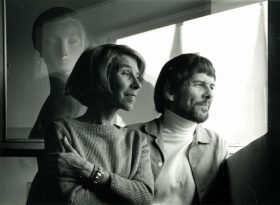 The Moomin comics were originally created by Tove Jansson and her brother Lars Jansson for the Evening News in London, at the time the world’s biggest newspaper. The comic was commissioned in the 50s and the creative siblings produced the daily adventures for over 20 years. The comics were syndicated to 120 newspapers in over 40 countries, reaching more than 20 million readers daily. The comics are now being collected and published in chronological order and once again attaining worldwide success.